The much-hyped tech unicorn Blippar is teetering on the brink of collapse after a dispute between two of its biggest investors, the property developer Nick Candy and the Malaysian sovereign wealth fund Khazanah. Blippar, which specialises in augmented reality, wrote to shareholders on Friday to warn that Khazanah had blocked an emergency fundraising, giving the board “no current option other than to give notice to start insolvency proceedings”. Administrators from David Rubin & Partners have been lined up. 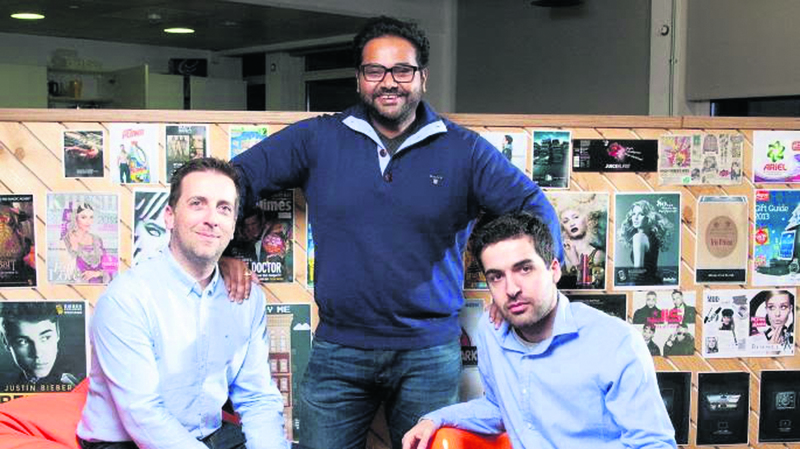 Blippar’s failure would put 75 jobs at risk just before Christmas. It would be the latest blow for the British tech industry, following the high-profile unravellings of Powa Technologies and Ve Interactive. Blippar once claimed to have turned down a $1.5bn takeover bid, putting it in the elite breed of start-ups valued at more than $1bn. The development comes despite an ongoing rush of money into European tech start-ups, which attracted a total of $23bn (£18bn) this year, according to the investment firm Atomico. In 2013, the figure was $5bn. Blippar was devised in a pub eight years ago, when Ambarish Mitra joked to co-founder Omar Tayeb that it would be “cool” if the picture on a banknote could come to life. They developed an app allowing users to scan physical objects such as supermarket promotions to produce responses on their smartphones. Mitra, dubbed the real-life Slumdog Millionaire for his colourful — and sometimes exaggerated — backstory, has raised almost $150m from investors. Candy owns 49%, the hedge fund Lansdowne Partners holds 14%, Khazanah 12% and US tech giant Qualcomm 12%. Blippar has burnt through money and been forced to close offices around the world to cut costs. The latest accounts, for the 12 months to March last year, showed pre-tax losses of £34.5m on sales of £5.7m. David Currie, the former Investec banker who chairs Blippar, wrote in Friday’s letter: “Whilst some larger contract negotiations have progressed, the company has not been able to generate sufficient short-term revenue to meet the business plan.” He said Candy Ventures had offered to inject new cash — believed to be about $5m — but any fundraising would require approval from Khazanah. “This approval has been sought and declined,” Currie said. Khazanah could not be reached for comment yesterday.